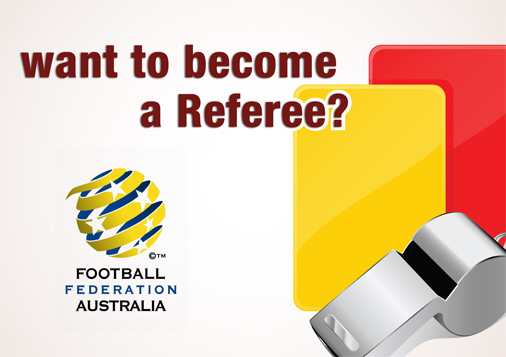 Want to become a Junior or Senior FSC Referee in 2016? If you are 13 years of age (turning 14 this year) or older you are eligible to apply to become a referee. For more details for new entrants please go to FSC wesbite or click here. With a host of trial/friendly matches scheduled for early in the new year, it is highly recommended that referees register through My Football Club as soon as possible after 2 January 2016. Once you have registered and paid your fees, please proceed to the equipment order form to outline the sizes for your respective 2016 apparel. Please keep Friday 12 February free at this stage as this is the proposed date for the Annual Pre-Season Seminar (Date/Venue/Time – to be confirmed). Renewing referees will receive an information pack early in the new year. Please note that any referees that remain unfinancial will not be permitted to officiate at preseason matches.